Take a musically inspired spin around these spectacular European cities. 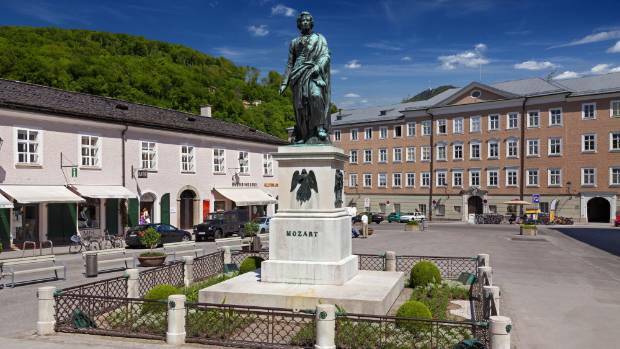 One of the most prolific and beloved of the Classical era composers, Wolfgang Amadeus Mozart was born in Salzburg, Austria in 1756 and the whole, exquisite UNESCO World Heritage Alstadt feels like a living monument to him, with restaurants, buskers, souvenir stands and even chocolates bearing his likeness. The Mozart Foundation runs a program of concerts and talks, including the Mozart Week festival and the Mozart Residence, a museum to his life and work. Antonin Dvorak’s work reflects the spirit of his homeland: Bohemia under the Austrian Empire, the Czech Republic today. 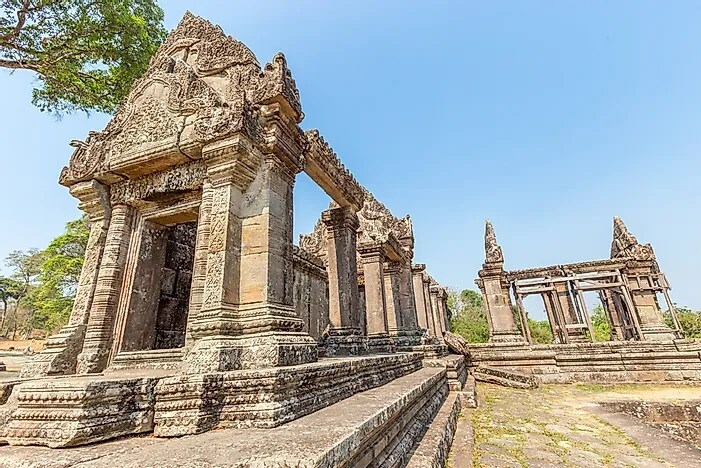 Cambodia is a beautiful country with rich history and culture, and is most famous for housing the Angkor Wat, the largest religious complex in the world. Cambodia is a small country located in the Indochina Peninsula’s southern portion in Southeast Asia. The country is bordered by Vietnam, Thailand, and Laos. It also has a coastline along the Gulf of Thailand to the southwest. Cambodia has a well- developed tourism industry as tourism is one of the most important sectors of the country’s economy. 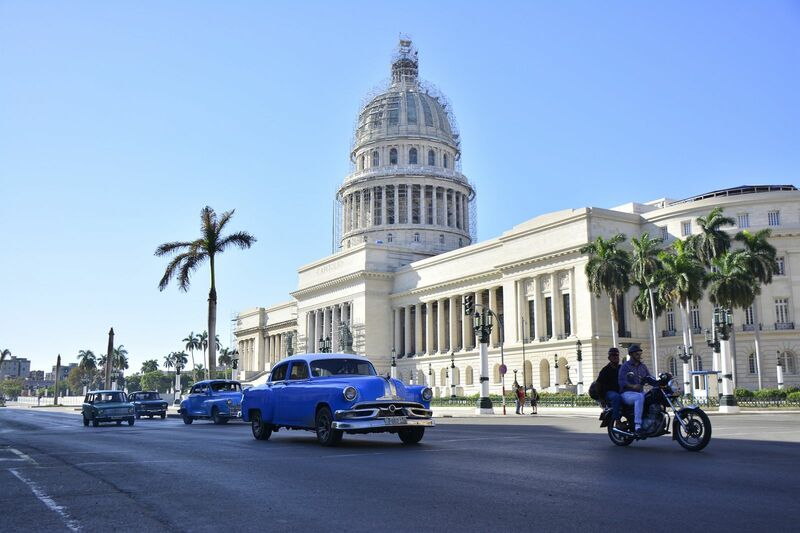 The country has a rich and inspiring history evident by the presence of magnificent temples and other structures from the past empires that ruled the region. Cambodia is also famous for natural attractions and unique biodiversity. 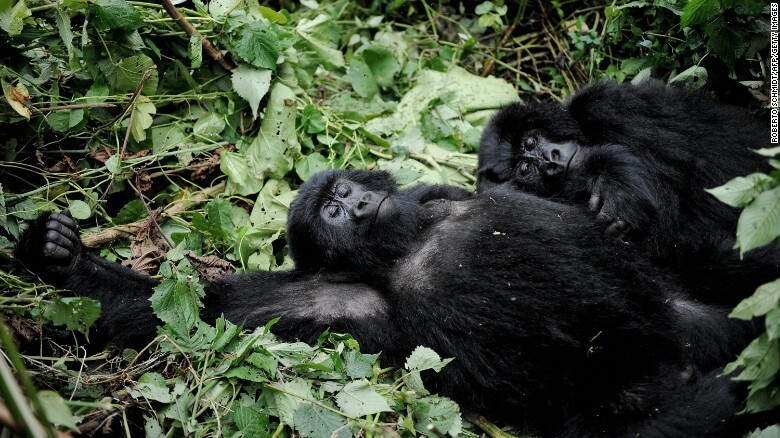 Below is a sampling of ten of the most visited attractions in the country. And of course there are the canal cities—Venice immediately comes to mind—where water is a way of life. In my eight months in Turkey, I have come to realize that for me there are certain places that seem to fit more than others. While my time in South Korea was a valuable experience I always felt like a visitor. Turkey is different. That’s not to suggest that Turkey is my now permanent home. Rather, it’s to acknowledge the importance of looking for and, most importantly, recognizing when you’ve found a place that makes you happy. This feeling of contentment underlies the sense of adventure with which I am exploring Turkey. Weekend excursions to historic sites and trekking through the mountains help me to appreciate Turkey’s diversity. Travel in Turkey is easy. For the equivalent of about $30 Canadian return, I travelled by bus to the Cappadocia Region of Turkey. Ferrara is a city in Italy’s Emilia-Romagna region. Situated 50 kilometers (31 miles) northeast of Bologna and 2 to 3 hours away by train from Florence or Venice, its historical center is a UNESCO World Heritage Site. Ferrara is not on the typical foreign tourist’s itinerary, which makes it perfect for the travelers looking for something less common than Venice, Florence and Rome. Extremely picturesque and mainly built by Renaissance’s all-powerful Este family, Ferrara is a great addition to your list of must-visit cities of the world. This is one of Italy’s greenest cities, full of medieval castles, parks and churches (such as the magnificent Castello Estense and the 12th-century Duomo), where almost every museum and tourist attraction is housed in a luxurious palace. A group of archaeological experts met in Bahrain to discuss how to use their research on Africa’s archaeology to help promote the continent’s old Islamic sites. 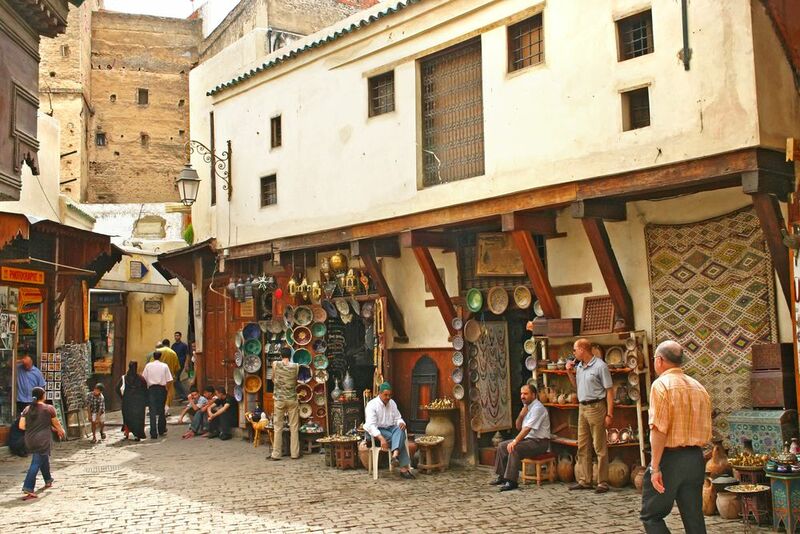 The Islamic Archaeology in Global Perspective Conference, held in capital Manama, hoped to highlight the important role that archaeology has to play in large parts of Africa. One such site is in Volubilis, Morocco – an important 3rd century BC outpost of the Roman Empire. It is said to be one of the richest such sites in North Africa today, indicating the existence of several civilizations from a Christian era to the Islamic period. Serbia houses some amazing constructional wonders like the Subotica City Hall, Belgrade Fortress, Studenica monastery, and more. The Seven Wonders of Serbia contest was held in 2007 and 2008. The Politika Magazin organized the contest which was patronized by the Tourist Organisation of Serbia. 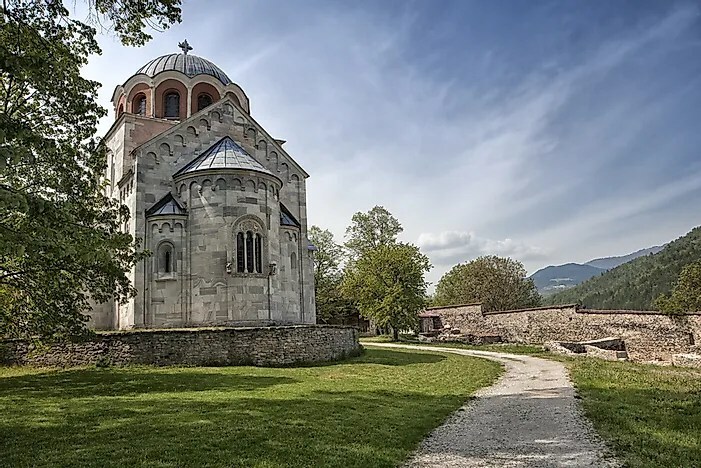 Two lists were created, the “Seven Serbian Wonders of Construction” and the “Seven Serbian Wonders of Nature.” Here we present the winners of the “Seven Serbian Wonders of Construction”. The Subotica City Hall is located in the city of Subotica. The city is famous for its host of buildings built in the art nouveau style. The most remarkable among these constructions is the City Hall and the Synagogue. The former was built between 1908 and 1910. The architects Marcell Komor and Dezső Jakab designed the building. The City Hall has a Blue Fountain and a magnificent park in the northern part. Road trips are a great way to explore Spain and its majestic countryside – use these tips and great road trip itineraries from Tourism Spain. A couple of years ago, I ventured on my first road trip through Spain and Portugal. I drove from Málaga to Lisbon, making stops in some of the best cities in Andalusia. I explored the architectural beauty of old Córdoba and the hip, urban life of Seville. Like any great road trip, my Spain road trip was a lovely but weird experience. I remember struggling with some travel details: sometimes I wanted to stop driving for a while to explore somewhere new, but I was never quite sure which of the small cities on my route was most interesting or might offer a great lunch break.